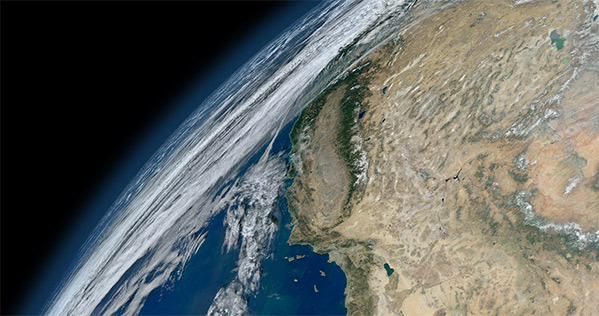 NASA’s latest image of the entire Earth may not be the most detailed to date, but it captures the imagination in ways some earlier versions didn’t. 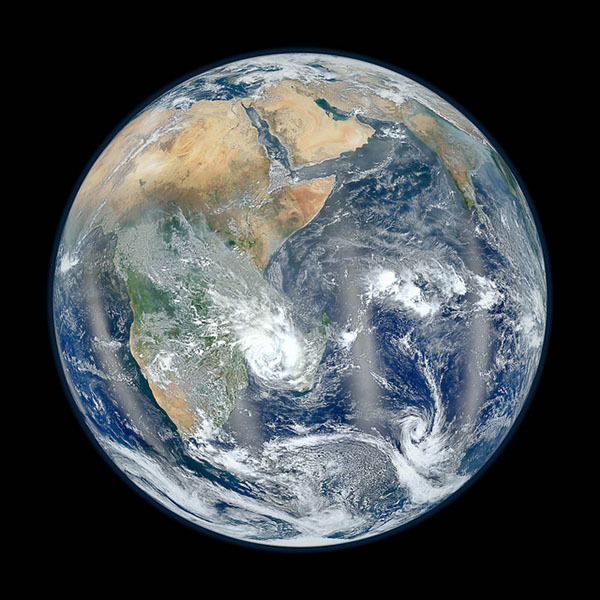 Not only does it look more natural and less computer-generated, it also recalls the first Blue Marble image—one that changed the way people thought about the Earth. 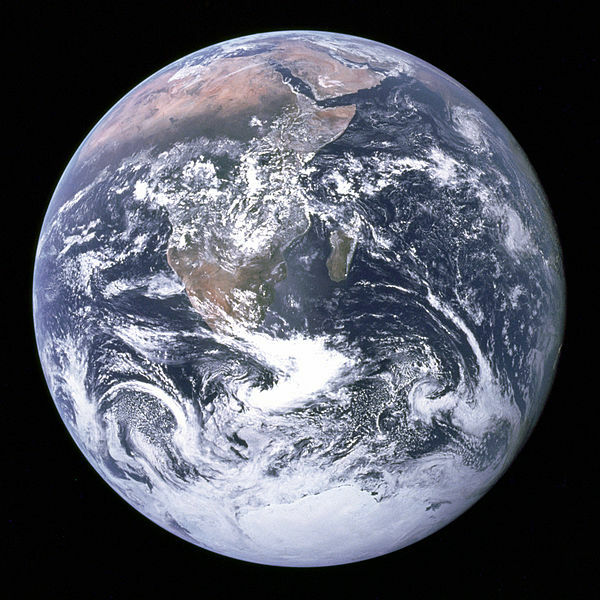 The image’s natural feel and nostalgic overtones are important both for NASA’s future and our own relationship with the planet.The original Blue Marble was taken by the astronauts of Apollo 17 as they were sailing toward the moon. It was the first picture that captured the entire planet in one shot. No one had ever seen that before and it had a profound impact on many people, including those in the early environmental movement. Subsequent Blue Marbles have not been single shots, but rather composites of many satellite images. The 2002 release was assembled from imagery taken by the Moderate Resolution Imaging Spectroradiometer (MODIS) aboard the Terra/Aqua satellite duo and looked to me, well, a bit fake. This year’s update is also a composite, but from the Visible Infrared Imager Radiometer Suite (VIIRS) sensor aboard the spanking new Suomi NPP satellite. It’s a bit lower resolution than some versions of the MODIS Blue Marble, but it looks less processed and more natural. The newest image also tugs harder at our heart strings. After NASA oceanographer Norman Kuring released his first rendition—a view of the Western Hemisphere, as seen above—the public clamored for a shot of the Eastern Hemisphere. Kuring obliged, and just one month later—an astonishingly short amount of time—he unveiled the new perspective. 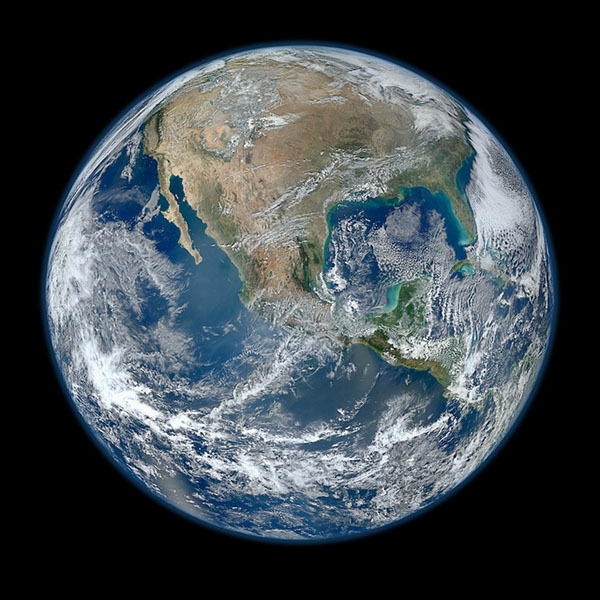 It’s strikingly similar to the original perspective captured by Apollo 17, the first Blue Marble and the one that changed the world. The new Blue Marble is the current space program in a nutshell. Its heroes are—by and large—on the ground, its astronauts are mostly robotic, and its focus is mostly on data—not beating the Ruskies. But the new space program is also more responsive, as evinced by Kuring’s willingness and ability to produce a shot of the Eastern Hemisphere. It captures the natural beauty of the Earth in ways previous composite images did not. When composing his images, Kuring seems to have focused on feel, not data fidelity. There’s a lesson for NASA in there: In the post-shuttle era, they need some of the showmanship that defined the early space program. Scientific data should still be a priority, but images like these can help engender some of the awe and wonder we felt when we saw a shuttle speeding skyward. Both remind us how small we are and how wondrous this planet is.